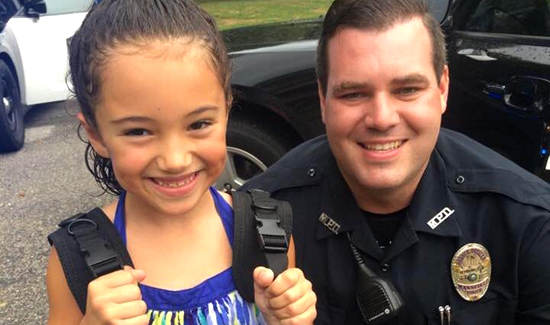 In Massachusetts, lots of cops have already met eight-year-old Dakota Matthews. The girl is on a mission to visit every police department in Massachusetts to thank police for coming to her aid during a seizure at age four. “I love them and I started taking pictures with them,” Dakota said. Dakota Matthews plans to visit every police department in her state. 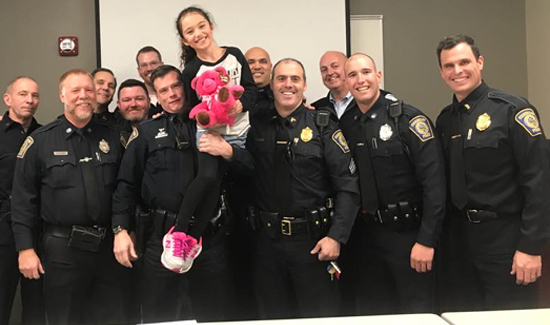 She recently visited cops in Quincy and that’s the 57th police department she and her mom have visited so far. Dakota and her mom have a Facebook page to document the journey.